If you follow our blog you will know D loves puzzles, any type of puzzle keeps him happy. Puzzles for D's age are very easy for him to do. Even when we are out he will choose a puzzle for 3+ and he's good at doing them! 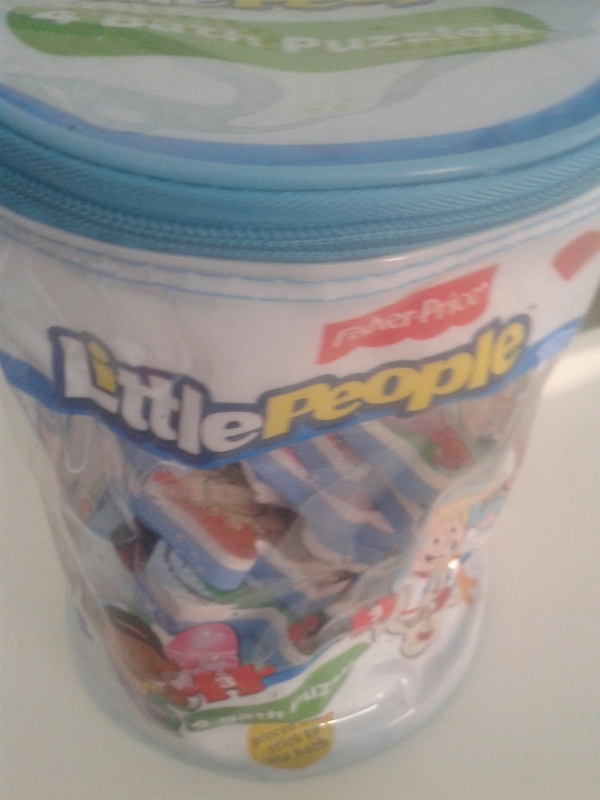 The Fisher Price Little People Bath Puzzles come in a round zip closed container/bag. The bag contains 4 puzzles; one 2 piece puzzle, two 3 piece puzzle and one 4 piece puzzle. Each puzzle is a picture of a Little People character(s) playing a sport or doing an activity outside. 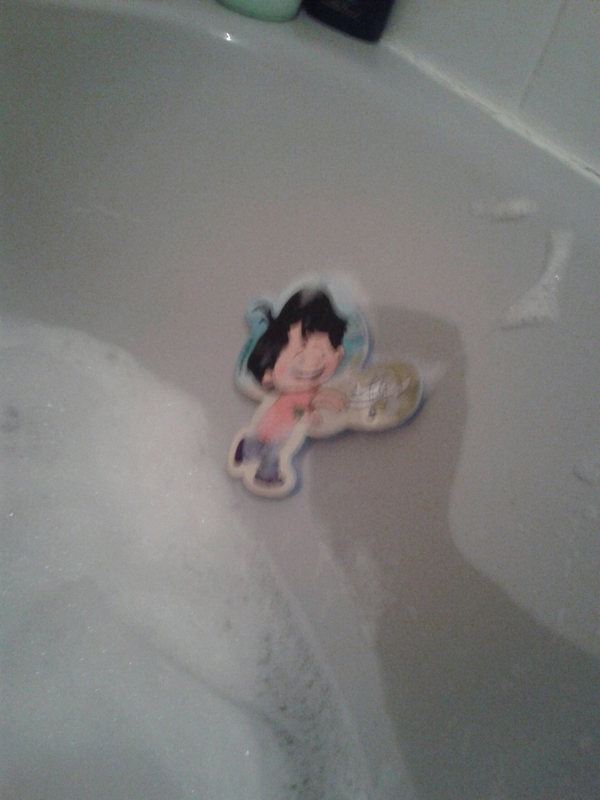 The Fisher Price Little People bath puzzles are for age 3+, however this does appear to be the age range in which D enjoys his puzzles to be. There are some puzzles he can do alone completely like these Fisher Price ones, D will look at the puzzle pieces and pick two he thinks match. That is not always the case as many are similar characters. He is very good at matching the puzzle with 2 pieces. He still has a challenge with the 4 piece puzzle, now that doesn't say much as the first time we used the puzzles I thought I had lost pieces! The 4 piece puzzle has 2 Little People characters playing with bubbles, every other puzzle has one. 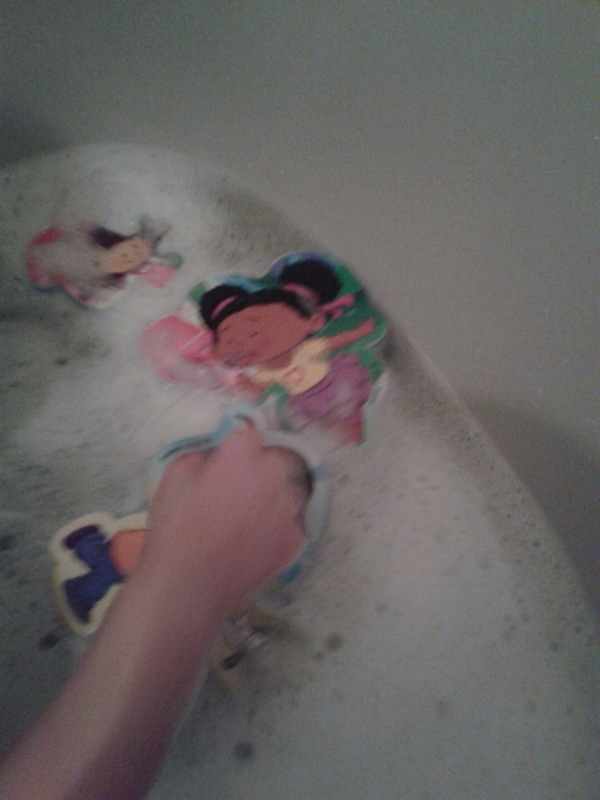 I love the fact that the Fisher Price Little People bath puzzles are made from a foam material which enables the puzzles to float, the foam used is amazing, they take a lot of force to push them under the water which is very helpful and important to enable a child to completed the puzzles on top of the water! 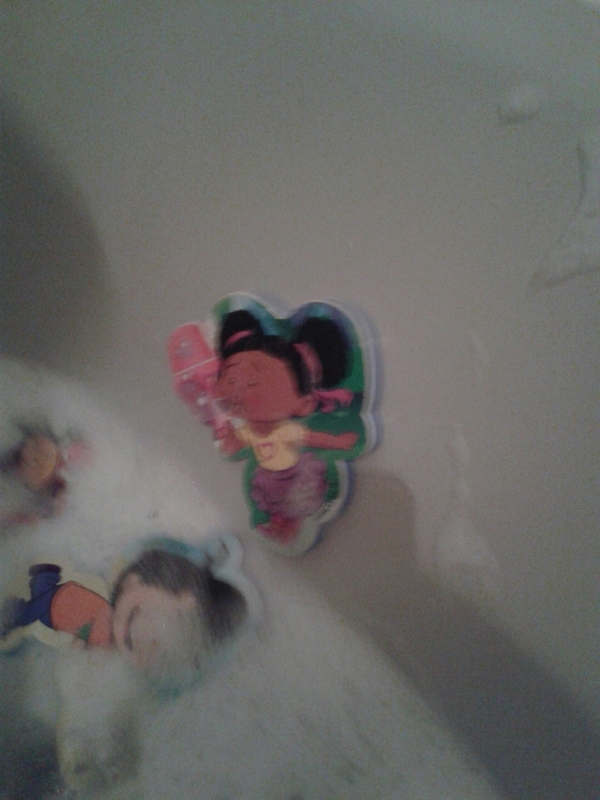 The foam also plays a very big roll in attaching the puzzles to the sides of the bath and the tiles. At the start of D using the puzzles I wasn't convinced they would stick very well to a wet surface while also being wet themselves, I must say it does work very well. 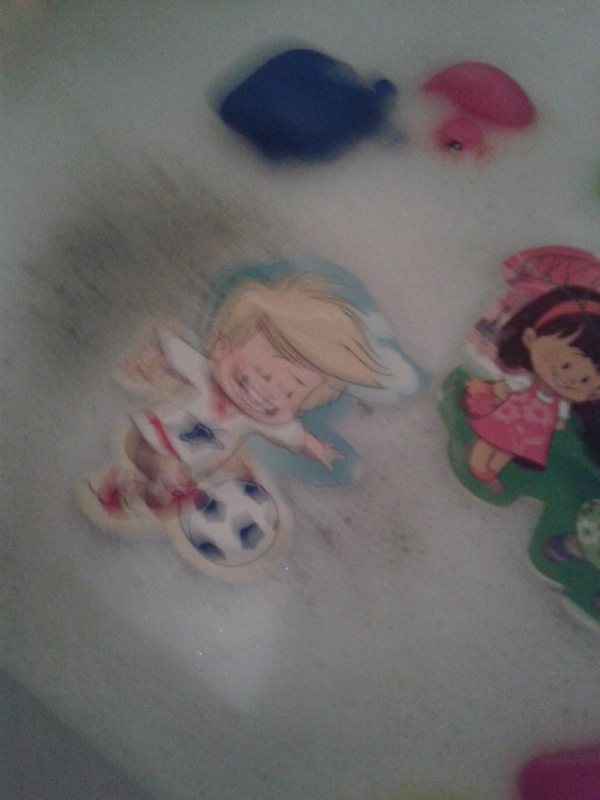 So well that many times once the puzzles are drying they seem to hold some of the suction and can remain on the tiles until D's next bath always within a day or two. The pictures on the puzzles are also waterproof and seems to be very robust, D loves to play 'crashing ducks' in the bath which involves a few plastic ducks who crash in to everything in their way usually this is the puzzles. The puzzles have no marks, fading, tears or any other damage in the few months we have used them. The puzzles lose their own water as they dry out and thier bag contains two holes at the bottom for the water to drain from. The puzzles do only take a few hours to dry when not attached to the bath and can be safely stored in their own bag to keep out bacteria, dust and any thing else you wouldn't want your child to play with or have in their bath. 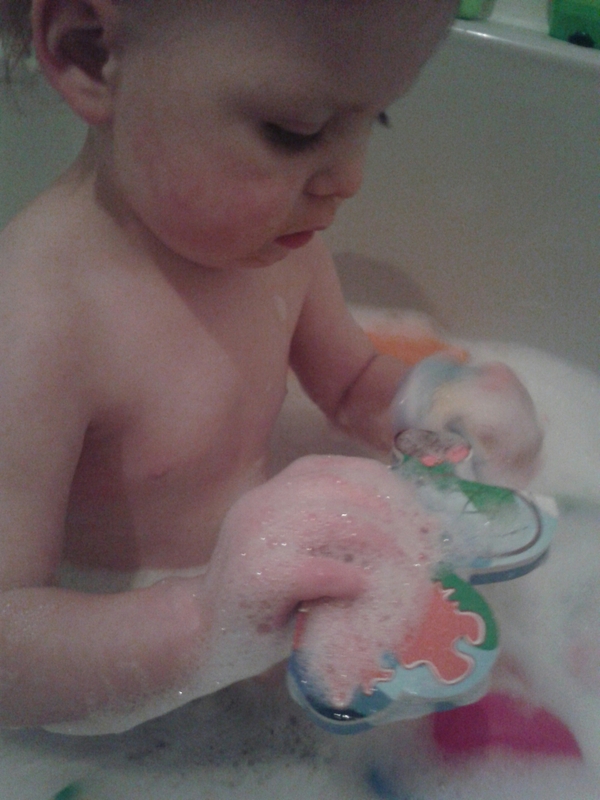 I must say the Fisher Price Little People Bath Puzzles have a very welcome addition to our bath time. I would recommend these to any puzzle loving child who can complete age 3+ puzzles.